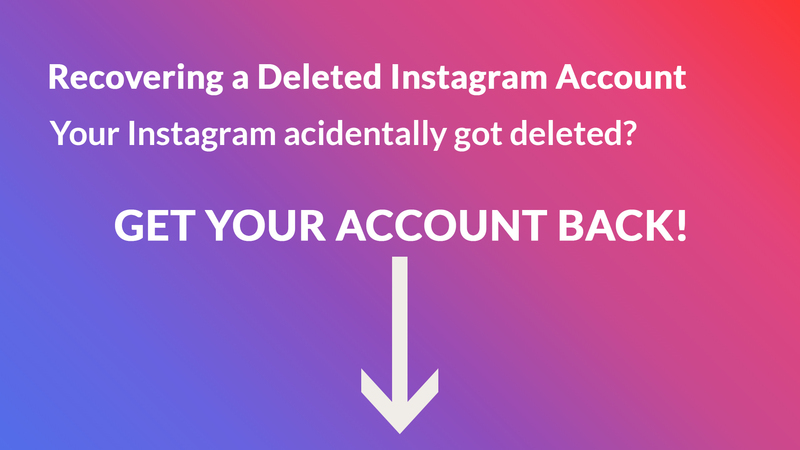 Can You Recover a Deleted Instagram Account? If you are looking for a simple straight answer, it is going to have to be a ‘No’. According to Instagram parameters and preferences, there is no possibility of recovering or restoring a permanently deleted account. In case you intentionally deleted your account, you cannot recover it. However, there is a way to recover if you deleted your account by mistake or it wasn’t you who deleted it. Unfortunately in all other cases, the answer to Can You Recover a Deleted Instagram Account is No. Also, for all business accounts where all posts and pictures are related to business promotions, recovering a deleted account is also not possible. Where many other apps and platforms do provide the option to recover a deleted account, Instagram doesn’t. When you know the reason why this is so, you will understand that it may be for users own good. Things might look simple but as you dig deep, a clearer picture arises and you are able to see Instagram’s perspective on this as well. How An Instagram Account Gets Deleted? A Clear Picture or Selfie of yourself in your account and then another to match it that you will send Instagram. Upon filling the details in the page opened by clicking the link above, you will get an email from Instagram. You will need to reply to the email and also attach a clear matching picture of yourself. This has to be a selfie or a face picture for it to comply with Instagram rules. How to Recover Permanently Deleted Instagram Account? Business accounts and ones that don’t have matching selfies in them, can simply not recover and may have to look at other options. Use the Old Email ID for a New Account – By doing this, all your business affiliations might still be able to find your new account and interact with it just the way they used to. No Same Username – Unfortunately, with this option as well, you will not get the same username back. However, a logical thing to do is to only slightly change your old username. Put a number of a sign at its front or back or in the middle and your followers might still be able to recognize the new account. Creating a new account and sharing the already shared information again to gain back your old followers might be the only option. For permanently deleted accounts, this might be the best-case scenario as well. 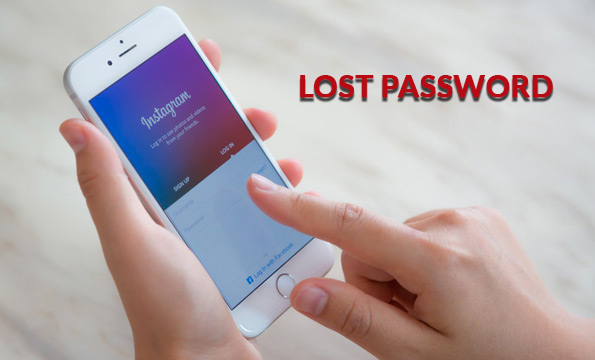 Deleted Instagram accounts are not to be confused with lost password situation. This lost password one is actually quite common in many people. It is very easy to lose your password and also type an incorrect one for a significant number of times. This will lead to your account getting disabled and locked by Instagram. Recovering a lost password blocked or disabled account is much simpler, however. You will need to click on the lost password link and will be taken to a new page. Typing in details will lead to a password reset link be sent to your linked email account! There are certain rules you cannot break and certain pictures or videos you cannot post. 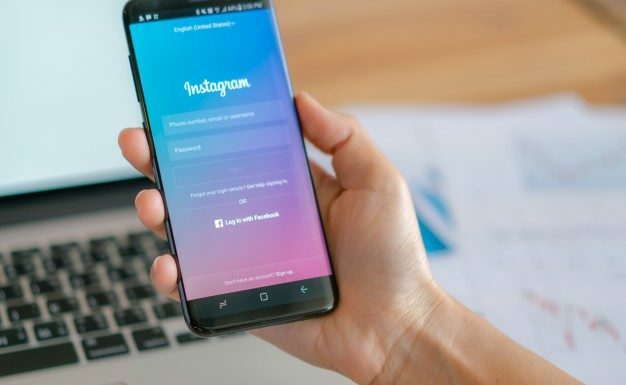 Violating terms and conditions and general community rules with exposing things that you are not allowed to expose will cause Instagram to suspend or disable accounts. This can be done to both business accounts and personal accounts. Any person or account can report any post from any other account that is violating community laws and Instagram policies leading the one in question to be blocked. A detailed investigation is done into the reported post or account. If found guilty, temporary disability or suspension will proceed. To recover a suspended or disabled account, you will need to follow instructions from Instagram as well. You will be taken to official pages by clicking provided links. The suspicious post that caused your account to be blocked or suspended will be removed. Hassan Bukhary has 5 years of experience in professional creative writer. 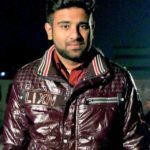 .He has researched upon various Business ideologies and methodologies which has enhanced his expertise and credibility.In his free time he read to about technology advancements.